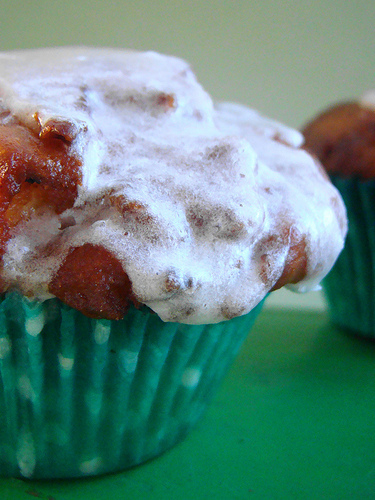 Juneberry Lane: Delightful Desserts for Fall: Pipin' Hot Apple Fritter Cupcakes . 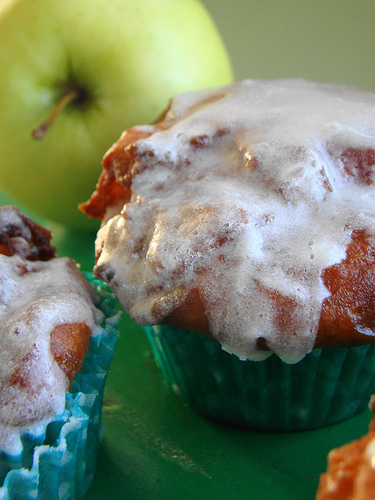 . .
Delightful Desserts for Fall: Pipin' Hot Apple Fritter Cupcakes . . .
Now that we are officially into September, school is back in session, and we are about to kick off my favorite time of year, I thought it would be the perfect time to share with you a delicious recipe for fall! Growing up in Ohio, Autumn was the time to head to MacQueen's Apple Orchard, Cider Mill, & Farm Market for their amazing annual Apple Butter Festival. 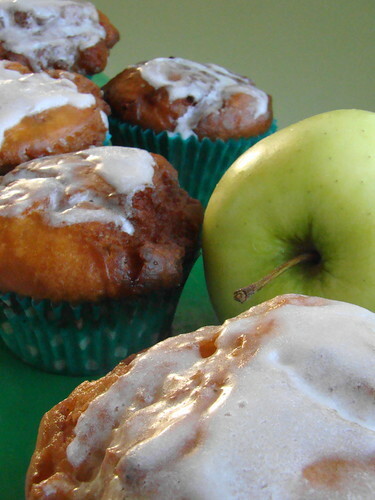 ~ Combine flour, sugar, salt, baking powder, cinnamon. Stir in creamer and egg until just combined. Fold in apple. Place liners in muffin pan and preheat oven to 350 degrees. Fill liners and bake about 30 minutes. ~ Pour oil into skillet so that it is approximately 1 1/2 deep. Heat oil to 275 degrees. Carefully add cupcakes to oil and fry until brown- about 2 minutes. Transfer briefly to paper towels to absorb excess oil, then transfer to cooling rack. ~ Make glaze by stirring milk and powdered sugar together in a small bowl. Drizzle over fritters. Stay tuned for more 'Delightful Desserts for Fall' in the weeks ahead! Have a lovely weekend!